Geothermal heating and cooling uses the relatively constant temperature of the earth to heat and cool homes and businesses with 40% to 70% less energy than conventional heating and cooling systems. While conventional furnaces and boilers burn a fuel to generate heat, geothermal heat pumps use electricity to simply move heat from the earth into buildings, allowing for much higher efficiency. The most efficient fuel-burning heater can reach efficiencies around 95%, but a geothermal heat pump can move up to 4 units of heat for every unit of electricity needed to power the system, resulting in a practical equivalence of over 400% efficiency. Let All State show you a system that will offer enhanced comfort throughout your home or business with a system that eliminates all the hot and cold spots. Our systems run whisper quiet and don't have any bulky exterior unit. Our systems are installed completely indoors like any appliance, so you won't have any of the wear and tear associated with the elements. 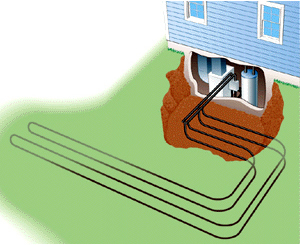 According to the Department of Energy and the EPA, geothermal systems offer the most environmentally friendly way to heat and cool your home. Our systems emit no carbon dioxide, carbon monoxide or other greenhouse gasses, which are considered to be major contributors to environmental air pollution. They are a 100% natural, green, heating and cooling system. 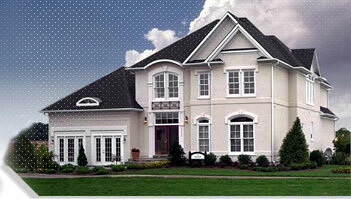 Give All State a call, and we will send a knowledgeable technician to your home or business for a FREE quote. We will be able to answer all of your questions, and show you the systems of the future.